Por muchos años yo decía que iba a escribir una novela, y por fin comencé a escribirla aproximadamente en 2002. Pero escribí solo un parte de la novela en 2002, paré de escribir despues de unos meses. Creo que en 2004 cuando llegamos en Utah, comencé otra vez de escribir, pero otra vez paré este proyecto. La verdad es que yo comenzaría escribir de vez en cuando, y yo pararía de escribir cada vez. Por fin en verano de 2012 mi esposa y yo decidimos a mudarnos a Arizona, y encontré trabajo en Arizona antes de que mi esposa pudiera mudarse; ella tuvo que quedarse en Utah un mes más que yo, por lo tanto yo estaba viviendo solo en Arizona y tenía mucho tiempo libre. A consecuencia decidí a dedicarme a escribir dos capítulos cada día por un mes para terminar mi novela – los capítulos son cortos – y la terminé y publicar el 22 de octubre de 2012. 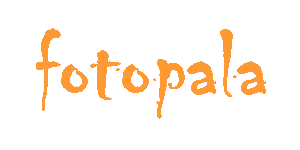 Welcome to the Fotopala Plan for improving your personal wellness. There are no secrets here – eat well, exercise, meditate, and focus on inspirational words and concepts. Eat six small meals a day for a total of 1500 calories per day. Eliminate sugar. In the early 1800’s the average person consumed 10 grams of sugar per day, and now it is 150 grams a day. Lower your daily intake of sugar to about 30 grams. (FYI, one banana has 15 grams of sugar). Go gluten-free. For many years I ate lots of wheat products. believing that I was eating healthfully. Unfortunately, the Big Food industry has eliminated almost all wheat varieties by replacing them with their genetically modified wheat, with the result that many people have become gluten intolerant and actually gain weight by eating wheat. Here are two books to consider reading: Wheat Belly, and the other is called Wheat-Free Worry-Free. Eat lots of fruits and vegetables. Period. Protein. Eat lean or non-fat protein items such as non-fat greek yogurt, non-fat cottage cheese, lean meats, and nuts such as almonds, pecans, etc. This is not so much about mantras as it is about attending to the breath. Sit comfortably, close your eyes, be aware of the present moment, and start observing each breath in and each breath out. Do this at least 15 minutes every day, and more is better. Obviously, you cannot get wet from the word “water” because a word only points to something or someone beyond itself, a word is merely a collection of letters, or a symbol, or a sound that points to some reality beyond itself. With that in mind, below are at list 70 inspirational words for your enjoyment … I hope that you will experience the reality beyond each word. Be, word, believe, wellbeing, breathe, water, communicate, vegetables, create, universe, dance, stillness, drink, spirituality, eat, sky, encourage, silence, exercise, rest, feel, recreation, flow, peace, give, now, gratitude, grow, nature, help, music, hug, mindfulness, imagine, meditation, kiss, love, know, light, laugh, life, learn, language, listen, joy, live, hope, love, happiness, manifest, God, share, gap, beauty, smile, fruits, teach, freedom, think, energy, touch, earth, travel, discipline, volunteer, detachment, truth, walk, being, watch, acceptance, write, abundance. After I completed an extensive health assessment, I was not surprised to hear that I would do well to lose at least 10 pounds. As a result, I put myself through a mini boot camp last week to see if I could lose 7 pounds in 7 days. Several weight loss programs promise that you will lose a pound a day if you follow their program and buy their products. So when I put myself through my own self-imposed boot camp, not only was I losing a few pounds, but I was also able to evaluate the hype surrounding weight loss programs and their promise of … LOSE 1 POUND A DAY. Each one of us consumes a certain amount of calories every day through food and drink. If the number of calories consumed equals the number of calories burned, we stay at the exact same weight. What exactly is the limit to how many calories I can consume daily if I want to stay at the same weight? How about if I want to lose weight? Multiply your body weight by 10. This figure is called your basic metabolic rate (BMR), and it is the number of calories you would burn if you stayed in bed all day. For example, my weight at 190 pounds multiplied by 10 equals 1900. Thus, my BMR is 1900 calories, which is the minimum amount of calories my body needs every day for basic functions such as breathing, keeping my heart beating, regulating my body temperature, etc. Multiplying your weight by 10 gives you a fairly good estimate of your BMR, but at this online BMR Calculator you can add your gender, age, height, and weight … and thus, you can calculate a more accurate BMR. No, because you are not likely to stay in bed all day, and thus you burn more calories every day than your BMR. For example, if I was sedentary I would multiply my BMR of 1900 by the sedentary factor of 20% to get 380, and then add that amount of 380 to my BMR of 1900 to get 2280. Woo hoo! When I am sedentary I still burn 2280 calories a day! 1900 + (1900 x 0.20) = 2280. If I am just lightly active one day, I burn 2565 calories. 1900 + (1900 x 0.35) = 2565. When I am moderately active, I burn 2660 calories that day. 1900 + (1900 x 0.40) = 2660. And if I exercise heavily on a given day, I burn 2850 calories. 1900 + (1900 x 0.50) = 2850. This final figure is called your Total Daily Caloric Expenditure. It is a measure of how many calories a day you burn based on your gender, age, height, weight, and activity level. So what would it take to lose 1 pound in one day? Since a pound of body fat is equal to 3500 calories, theoretically I would have to eat nothing or very little during the day, and also be extremely active that day to achieve a Total Daily Caloric Expenditure of 3500 calories. Thus, for me to lose 1 pound a day for 7 days, I would have to eat little or nothing all week, and be extremely active through exercise every day. Actually, I believe that I lost about 6 pounds during the week. Granted, some of it was probably the “water weight” that everyone loses at the beginning of a diet, and the scale in my house may not be precise, and/or I may not have replicated exactly the starting and ending weigh-ins (i.e. clothes worn, time of day, etc. ), but even if I only lost 3 or 4 pounds, I am pleased. I can see the difference in the mirror, and I can feel the difference in the way my clothes fit. So what’s the point? My point is that I think people can lose weight fairly quickly, and lose it in a safe manner while eating well but without having to starve. So how did I do it? I burned a lot of calories exercising every day. On at least 3 of the days I was extremely active for over an hour by bicycling up a canyon, starting at about 4700 feet above sea level at my house and rising to slightly over 6000 feet above sea level at the end of the trail (7 miles up, 7 miles back). On every other day, my exercise was lighter … perhaps I only walked for an hour. FYI, a person my size can burn 100 calories per mile walking, or as much as 200 calories per mile running or bicycling swiftly. Also, I ate 6 small meals every day, about every 2.5 hours to avoid feeling hungry. At each mini-meal I had a high quality low or non-fat protein source (such as non-fat yogurt, turkey jerky, non-fat cottage cheese, non-fat protein powder in a shake, etc. ), some fruit, something whole-grain (whole-grain crackers, cereal, brown rice, or some healthy gluten-free item, etc. ), and veggies. With each meal I drank at least 16 ounces of water in order to feel full. I had no cookies or deserts of any kind for the week, although after a long bike ride I may have had something like a 100-calorie Healthy Choice fudge bar (since protein after a good workout helps rebuild muscle). I consumed about 250 calories at each mini-meal, so I estimate that my daily intake was no more than about 1500 calories. Like I said, I never really felt hungry during the week, for if you eat something healthy about every 2.5 hours that includes protein you will stay satiated and keep your energy level constant. Try out the Fotopala plan and let me know how it goes. You can do it! Obviously, you cannot get wet from the word “water” because a word only points to something or someone beyond itself … a word is merely a collection of letters, or a symbol, or a sound that points to some reality beyond itself. With that in mind, below are at least 70 inspirational words that you can use like a mantra to meditate on. So for example, if you want to manifest more laughter in your life and in the lives of the people around you, just carry the word “laugh” in your mind throughout the day … and you will no doubt be prompted to laugh during the day because you have been carrying that thought in your mind. Pick an inspirational word to meditate on today, and may you experience the reality beyond each word. Believe, word, create, wellbeing, breathe, water, communicate, vegetables, be, universe, dance, stillness, drink, spirituality, eat, sky, encourage, silence, exercise, rest, feel, recreation, flow, peace, give, now, gratitude, grow, nature, help, music, hug, mindfulness, imagine, meditation, kiss, love, know, light, laugh, life, learn, language, listen, joy, live, hope, love, happiness, manifest, God, share, gap, beauty, smile, fruits, teach, freedom, think, energy, touch, earth, travel, discipline, volunteer, detachment, truth, walk, being, watch, acceptance, write, abundance.